Com2us announced on the 27th that it successfully carried out a tournament for Summoners War at Amazon ‘Mobile Masters Invitational 2017’ that was recently held in New Jersey. This tournament is the first large-scale e-Sports tournament for Summoners War that was held in the U.S. Total of 8 players participated in this tournament with a first place taking $25,000. After intense battles that had lasted about 6 hours, Fwa, who is the top ranked player in the U.S., and KoopaTroopa787 went to the finals. Fwa was the first one to win 3 games and ultimately took home the first place. This tournament was carried out as a double elimination tournament method that allows a player to have another chance after a loss. 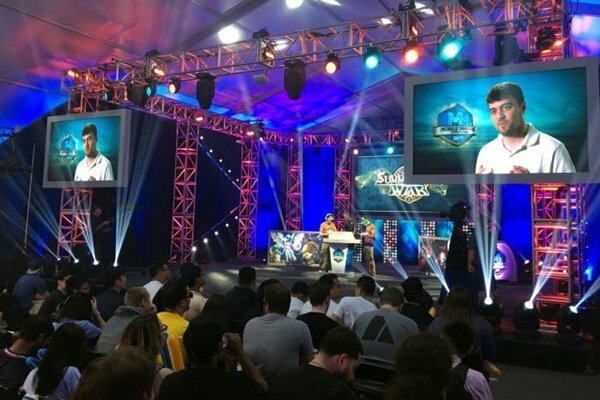 This tournament, which was broadcasted live through a game broadcasting platform called Twitch, recorded number of views that almost reached 35,000 during matches. This number is ranked top 5 out of every video that was broadcasted on Twitch on this day. Because corresponding videos are recording number of rerun views of more than 19,000 until the 27th (Korea time), it once again confirmed popularity of ‘Summoners War’ as part of e-Sports competition.